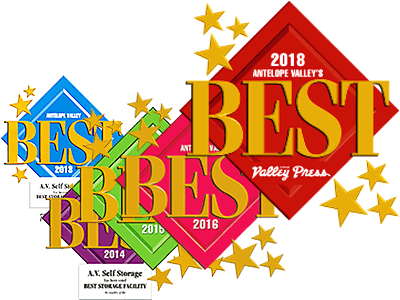 AV Self Storage is a family-owned self storage facility dedicated to providing our valued customers with a top-notch customer service experience. 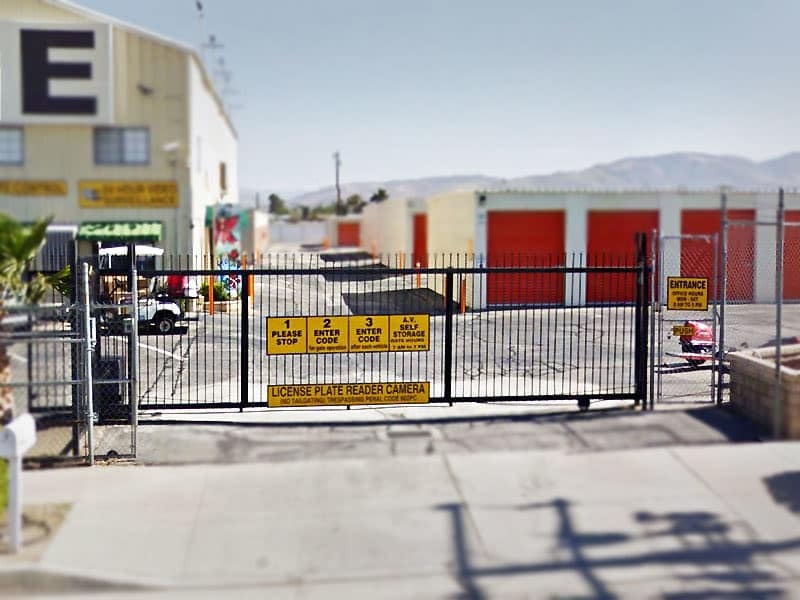 Located in Palmdale, CA, our fully fenced property is equipped to the finest detail with features that streamline and quicken your storage process. You’ll find that we offer an extensive variety of storage units and sizes – including RV, boat, and motorcycle spaces – so whether you’re seeking something temporary or more long-term, we have you covered. 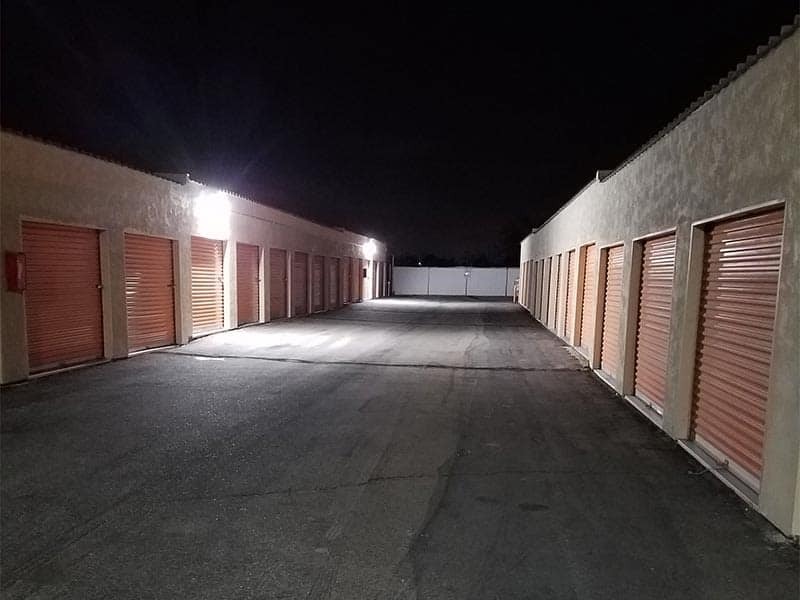 Check out our Unit Sizes & Prices page to learn more about our available self storage units for rent near Palmdale Regional Airport. 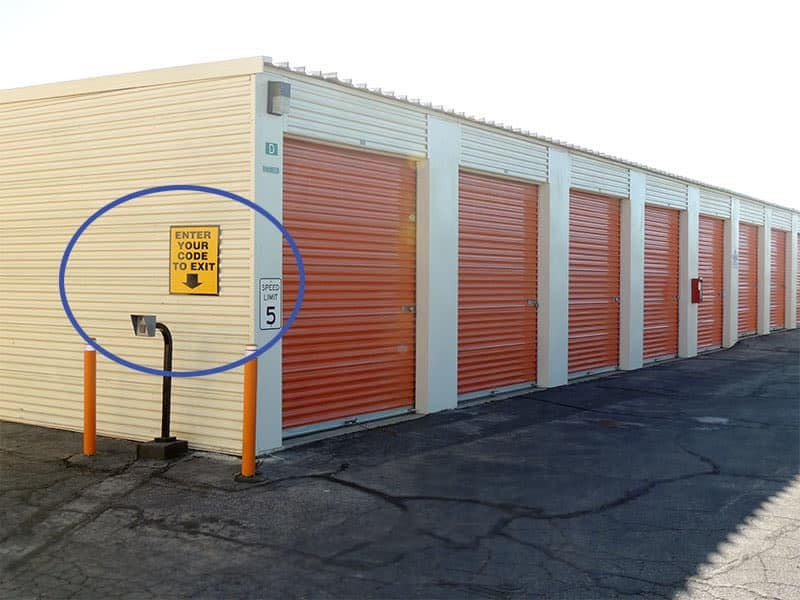 Your Self Storage. Conveniently Located. 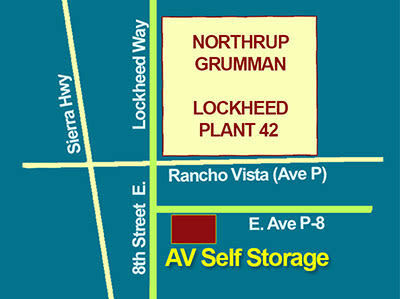 Our modern self storage facility is specially designed with you at the center. We understand that storage projects don’t always fit into your busy schedule, which is why you have access to our fully fenced premises 7 days a week. Come and go on your time, whenever is most convenient for you. Being situated between CA-14 and East Palmdale Boulevard gives you quick and easy access to your unit along with a central location to finish the rest of your to-do list. 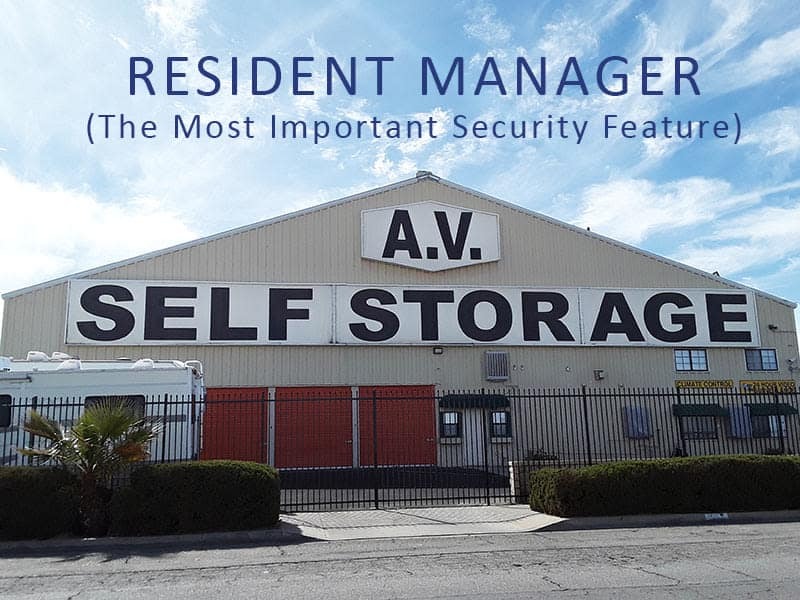 At AV Self Storage, we make it our number one priority to ensure that you have a seamless storage experience. Our top-of-the-line 24-hour security surveillance systems provide you with an added peace of mind. Choose between traditional or climate-controlled units, depending upon how delicate your belongings are to humidity and temperature. 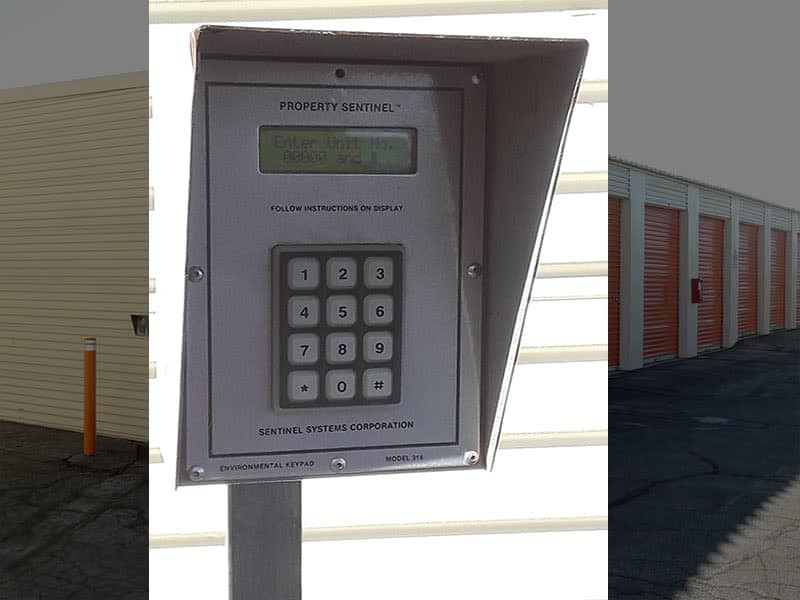 Wide driveways, available dollies and carts, and ground floor units work together to help you get in and out of your unit with the utmost ease.